It's somehow fitting that the Destroyer should take the form of a nice Midwestern son of immigrants from Scandinavia. Gail Heriot hasn't quite figured out that Norman Borlaug is perhaps the quintessential example of the road to Hell being paved with good intentions. HAPPY 104TH BIRTHDAY, NORMAN BORLAUG: If you don’t know who Norman Borlaug was, it’s high time you learned. His claim to fame: Saving over a billion people from starvation. Yes, that’s a “b” for “billion,” but even if it were an “m” for “million,” it would be a staggering achievement. When others are teaching their children and grandchildren to act like a ruthless killer (“Be like Che”), teach yours to “Be like Norman.” Make his memory eternal. Oh, I think his legacy will be remembered, all right. Not even Mao and Pol Pot managed to lay the foundation for a bloodbath of the sort that will one day be known as having taken place on a Borlaugian scale. Let's just say I very much doubt the world will ever see 3 billion sub-Saharan Africans, let alone 4 billion. Vox, I assume you mean 3 (or 4) billion. Not Trillion. Because, I think none of us expect that many. They're starving in Rhodesia now and once the farms in South Africa are given to Xhosa cronies in the African National Congress most of Southern Hemisphere Africa will starve as well. So the Xhosa destroy Southern Africa. Vox, is this why you day Africa will not reach three trillion? I agree, and it also illustrates their thinking. Everything continues along current trends. Have the Chinese started outright colonization yet, or are they still acting like benevolent advisers? Is the moral of the story only help your own moving forward? I'm sure Norman never imagined the Hell his methods were going to create. They are waiting. If 100 million Chinese flood into Africa, who will stop them ? The resource rich countries will fall first. It is called "denying Darwin his due". Aren't these U.N. prospects famous for being wrong? I'm pretty sure Africas population will grow to something like 1.6 billion before white people stop feeding them. And I don't think the Chinese are interested in seeing less hunger in their colonies. Sure, the silent gen to boomers brainwashed everyone else with feeelings of guilt/appeasement into sending their (their own children's wealth or food money just like edu robs children of their family's wealth and they are morphed into debt slave mentally unstable cogs) donations to help the starving while those gov'ts didn't care for their people two damns. Feeding the poor is often another tax of reparations to 'feed' outright war that manifested in future tragically extreme moslim generations. These insane narcissists fed our own demise via food and demographics. The fork will kill you, dont pick it up and stop this retarded volunteerism like saving everyone, let God save us and make your own area nicer. Oh yes, the Neo-Liberals always bang on about this guy. And turns out, like everybody else they bang about he has made the world a far worse place after he died. Well done. Everybody the left claims to be good turns out to be awful and everybody they claim to be evil turn out to be good. The departed man; what wrong headed thinking to ignore demographics, IQ, R/k selection when these old people offer their anti humanity programs along with being anti white while being white, the cognitive dissonance abounds. Or no it does not the man mentioned above departed as multi cultists want the guns taken and white genocide in the name of liberalism, feminism, progress and utter chaos. 1A, 2A the GE Train is fine. What about the dreams and food insecurity of Americans? Right, we are forgotten and made into tax cogs meaning continued distance from a tyrannical gov't but we still pay and pay untenable amounts of money for mere survival. Sink the boats and GMO the killers. "And I don't think the Chinese are interested in seeing less hunger in their colonies." Haven't you heard? Lab-grown meat is on the way, just as soon as they get those costs down. Now everyone will have enough protein. Yay science! @6 "Is the moral of the story only help your own moving forward? I'm sure Norman never imagined the Hell his methods were going to create. " Jesus told the disciples to make followers of all nations. That doesn't need to include raising their living standards through pouring in outside resources. The current and coming starvation in Africa is badly thought out charity writ large. The whole continent is a welfare queen. I would never have seen charity so cynically if it weren't for this blog. @ VD: I'm wondering how this would relate to Ted Kennedy's Chappaquidick moment and later goals of expanding immigration. Could it be he was presented with an option by the Deep State: spend years in prison and pay massive amounts in legal fees and lawsuits, or just go along and sign where we tell you to sign. How many times has this scenario played out and how many death-bed confessions would reveal the real motives behind people's actions. White farmers being successful in Zambia won't be enough once the black population reaches high enough. Some tribe or another will decide whites took their land and start a genocide there too. The pattern is clear. The Zambian government may actually try to protect their white farmers then, but they will be facing increased strain on the land while trying to defend themselves. Not a recipe for peak production. We're one agricultural monoculture collapse away from a subsaharan reset. Green revolution will fail at some point, for good and ill.
One must wonder why this chart assumed a leveling in the Middle East but not Africa. @12-"the Neo-Liberals always bang on about this guy"
Do they? I mean, the "green revolution" is one of the globalist talking points, but they could make Borlaug's name as famous as Einstein if they wanted. He's not even household name, really, though obviously he's well-known. I've always been surprised by how little-known he is here in MN, despite the fact that he worked at the U of M. And that's probably not a result of anti-Iowan prejudice. My family, for instance, never knows whom I'm talking about when I bring him up. Why isn't he more famous? Because boring Norsk white guy? Or do they perhaps have a guilty conscience about him? @22 I have read Iran is below replacement rate already. I don't think Saudi Arabia is much better. I don't think they are including other nearby Muslim countries such as Afghanistan. As much as libtards love Darwinism, they sure do their best to defy it in the most astoundingly moronic fashion. I wonder if the Chinese will exterminate the African savages or enslave them? @23 Bill Whittle, (((Andrew Klaven))) and (((Ben Shapiro))) talk about him all the time, saying it is a disgrace his isn't better know and things. He isn't more well know because he work had nothing to do with undermining the Christian doctrine of the world. The (((Normans))) in the media and universities only care about people who undermine their host nation. Shane Sullivan wrote:Have the Chinese started outright colonization yet, or are they still acting like benevolent advisers? Arthur Isaac wrote:We're one agricultural monoculture collapse away from a subsaharan reset. Southern Africa is an arid region. The only parts that had reasonable rainfall (still below average for the world) was settled by the Bantu. For South Africa, that would be where the old "homelands" were. The rest is arid or desert. Current water infrastructure was designed for 42 million, we are in excess of 55 million. See the news on the drought in the western Cape for the results. TL,DR:- we don't need a food crises, we already have a water crises. Fun time ahead, like the Chinese curse. Michael Maier wrote:I wonder if the Chinese will exterminate the African savages or enslave them? If push comes to shove, probably exterminate. It's not like they have any shortage of available manpower. Not to mention the vast majority of them have notably higher IQs. Also, they have no empathy for Africans, it's been said they generally consider them animals. Michael Maier - "I wonder if the Chinese will exterminate the African savages or enslave them?" Both , extermination through enslavement. They have no "white-guilt" complex. From a review of "Democracy, the God that Failed". 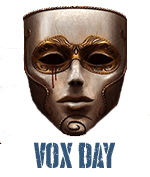 I would really like to see Vox Day and Hoppe have a chat together. I am positive they have much common ground. "All government is bad, but some kinds are worse than others, and Prof. Hoppe argues strongly that democracy is much worse than monarchy." Gotta love that. Never heard of him. Looked at his bio; laudable on the face of it. I suppose we are considering the vast leap in population. OK. Well, I suppose you really can't have your cake and eat it too. I am at a loss for this thread.. It seems like the basis of concern here is that he developed techniques to increase food production and that as a result the less people starved and the population of the 3rd world is growing ? If that is the case why not similar disdain for the inventors of electricity, medicines, shelter, refrigeration, air travel, the internet ... each have contributed to this problem. What I do finding interesting here is a concept of carrying capacity and the connection between technology and population; very interesting area of study. I do believe that we are currently populated above the carrying capacity of current technology and the planet. So unless there is some transformation technology things will get worse but I have hope that the technology will come because the alternative is not good. On this subject the blog is a bit schizophrenic ... at one point I hear things like this thread and then at other times I here how populations having zero growth is bad, women should return home and make more babies. Abortions are bad yet we have too many people -- If populations are so growing why be opposed to birth control and abortion. We claim to be real Christians and yet berate a man who has done more Christ like acts than all of combined. Africa will starve. The real question is whether we have the will to let them starve now, or whether we keep providing "humanitarian aid" until the problem is so big that they take us down, too, and we also starve. This how growing your own food is printing your own money, remaining absolute protectionist is nationalistic - tell me I am wrong diversity is white genocide. Peter, you might want to revisit your definition of "Christ-like". The old Prime Directive from Star Trek was based on the hard lessons of watching the post-colonial world go to hell. It may be possible to civilize savages, but it's a long, hard road...and they have to be both willing and able to adopt civilized ways. "Africa will starve. The real question is whether we have the will to let them starve now, or whether we keep providing "humanitarian aid" until the problem is so big that they take us down, too, and we also starve." Yep...But it will be more than Africa that is starving. Only a handful of regions can feed themselves now, and the situation is worsening steadily as fresh water aquifers and topsoil deplete...Ukistan and Japan, for example, import a huge amount of food due to the wonders of Free Trade having driven domestic producers out of the market. @33 Peter: The problem is that sub-Saharan Africa has seen an explosive growth in population. The rest of the world has grown some, but the overall populations have stabilized. Africa...no. And there does not seem to be any hope that it will stabilize, or that Africa will be able to feed itself at more than a bare subsistence level. There's too much corruption, too little brainpower. Which means a potential for a flood of refugees. Refugees with neither marketable skills, nor the IQ to learn them, nor even the cultural underpinnings required to live in a modern society. Southern Europe is suffering the results today - and it is likely to get a lot worse. @33 Growing populations are not a good thing unless there is a surplus of land and agricultural production...It has been reported that MITI in Japan is fine with the birth dearth, precisely because Japan is so overpopulated for the long run, in which there may be no food imports. All Borlaug did was to make it possible for primitive nations to deplete their topsoil and water more rapidly...More appropriate technology would be no-till farming methods, topsoil preserving crops, and multi-culture. But he gave them the quick fix. I have been saying for years that Doctors Without Borders is the most damaging organization in the world, for creating drug resistant diseases, but not mentioning that they promote infinity nigs. Good luck with that since NAM are more willing to lie they often get the most need based aid. While whites might put down a 15yo car as assets. My money is that when rhinos go extinct China will declare black's ovaries to be the new rhino horn. They recently shot to a bunch of striking African miners. For whatever that's worth. In fact, if the Chinese want to get rid of swaths of Africans, what they may do is promote tribal warfare - quietly supplying both side with inexpensive weapons and let them have at each other. IOW, set off another Rwanda or two. Nearby Chinese colonists will push for ''peacekeepers'', which of course, China will supply... Not to curb the conflict, but to prevent it from spilling over into their areas. About the only thing I respected about Bill Clinton was he would be repeatedly begged to send US forces to intervene in Rwanda - which he repeatedly ignored (he now says he regrets it). I understand why however, remember his Presidency began with Somalia - which was universally regarded as a disaster. He saw Rwanda as a repeat of Somalia - and obviously wanted nothing to do with it. @42, good to see you back. Bingo. Industrial monocrop farming made possible by petro-fertilizer has been a scourge upon the land. This is the true environmental crisis, not "global warming" or other concocted nonsense. Mankind will truly rue the day that we started down this road to the destruction of our fertile lands. There's a tiny movement trying to rehabilitate and grow the soil back, but we're too far down the road. There will be a huge human cost. It would be difficult for black South Africans to make it to the Mediterranean coast without being killed or enslaved on the way, but plenty of meddlers would be willing to give them some help. In Wakanda, they have lab grown fried chicken. Exterminate. I read the short story where they develop a genetic bomb to wipe them from the face of the earth. similar disdain for the inventors of electricity, medicines, shelter, refrigeration, air travel, the internet ... each have contributed to this problem. YIH wrote:About the only thing I respected about Bill Clinton was he would be repeatedly begged to send US forces to intervene in Rwanda - which he repeatedly ignored (he now says he regrets it). I understand why however, remember his Presidency began with Somalia - which was universally regarded as a disaster. He saw Rwanda as a repeat of Somalia - and obviously wanted nothing to do with it. If only he did the same thing in Yugoslavia. Remember too it was Herbert Walker Bush not Bill Clinton who got us involved in Somalia for 'Humanitarian' reasons since there was no Warsaw Pact left to fight and we couldn't just bring the troops home after the end of the Seventy Five Years War. I'm not sure how Borlaug is directly responsible for the burgeoning African population. The Africans are certainly not using his methods to feed themselves into over-population. The West is using the new genetically modified crops to produce a food surplus, and it's not being done by small farms but by "agribusiness" corporations that operate massive and automated agriculture. I don't think that will end well for the West, but the alternative is already unthinkable: falling back to old techniques will result in mass starvation in the industrialized countries. The African problems have their root in the policies of Western charities, NGOs, and governments, who are dumping a lot of the surplus food in Africa, thus fueling sub-Saharan population growth to a disastrously unsustainable rate. We have also introduced medical services and technologies that contribute to population growth. These policies are a horrible humanitarian and political error. We are causing the explosive growth of the population of Africa while at the same time removing all incentive for Africans to feed themselves. Who is going to farm when the cargo planes bring a much cheaper product? Because the people with guns inevitably seize the food and sell it to their supporters, we have made kleptocracy the only possible form of government in most African "states". I would argue that Western policies are as cruel to Africans as they are to future generations of Europeans who will have to bear the consequence of uncontrollable migration. It is not the African's fault that the West is meddling with them. It's not even Borlaug's fault. It's the globalist do-gooders who want to fix everything, and who are instead creating a Hell on earth for everyone. Skyler the Weird wrote:Remember too it was Herbert Walker Bush not Bill Clinton who got us involved in Somalia for 'Humanitarian' reasons since there was no Warsaw Pact left to fight and we couldn't just bring the troops home after the end of the Seventy Five Years War. Ah yes, Somalia. One of our least brilliant military interventions. Did you see the movie Blackhawk Down? I did, and then I read the book--and it totally revised my perspective on what happened. The movie presents one half of the story told in the book: inexplicably, the screaming Somali mobs hate American soldiers and the entire city turns out to butcher a couple of suddenly isolated detachments. In the movie, the Somali motivation is a total mystery. But the book delivers some background, and suddenly the hatred makes sense: the arrogance of U.S. State Department and senior military representatives, the blundering interference in internal Somali policies, the reckless use of American firepower to eliminate supposed "bad actors"--firepower that caused much of what is euphemistically called "collateral damage". And the "bad actors" were what are otherwise known as "local politicians with broad popular support". Of course, the U.S. troops were told the same thing we civilians were: this is a "humanitarian mission". We just had to kill some bad guys that were getting in the way of food deliveries. Thus, they were very surprised at the huge Somali response when the Blackhawks went down: just about every Somali in town grabbed his AK and went hunting for what had suddenly become a vulnerable enemy. Add to that the fatal inadequacy of the U.S. force. As usual, the official delusion [deceit] shapes the means dedicated to the mission. Surely charity workers do not need tanks, heavy artillery, a full infantry division, nor air support, so none of these was sent. As usual, soldiers paid the price for the politician's lies. Japan's problem isn't free trade. Japan's problem is lack of enough farmland for the population it has. @26 "I wonder if the Chinese will exterminate the African savages"
Hey China -- LEARN from us: BE the Dalek! falling back to old techniques will result in mass starvation in the industrialized countries. 1918 is still the largest grain harvest in US history, accomplished almost entirely by small holders using muscle power. Modern agriculture is marvelously efficient of labor. It is horribly wasteful of just about every other resource, including fertility. Don't mindlessly repeat the propaganda of Cargill, ADM and Monsanto. America would easily be fed, with an enormous surplus, without their help. This is funny. I was having this same discussion with someone a few weeks ago. He was saying that all this doom-and-gloom going around is silly. After all, didn't there used to be a big fear that we wouldn't have enough food to feed everyone? That we would be overpopulated. But then Borlaug came along! He... didn't seem to quite be able to make the connection that that is still over-population. And this is an otherwise fairly smart, reasonable guy, who isn't alt-right but who is certainly on the civic-nationalist "fellow traveller" side of things. @59 - That's fascinating. 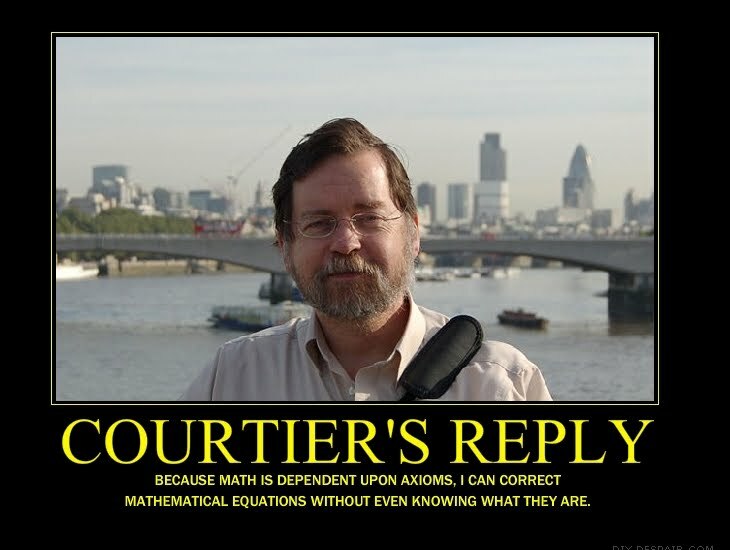 Do you have a source for that? And is that measured as volume of grain itself or grain per capita? I never really thought about that side of things. I always see automation as a necessarily good thing, and say to myself "Well sure, the cows are drugged up, and hemmed into cages, as are the chickens, and they're all fed straight into meat grinders. And yeah, they're fed the lowest bottom-basement crap. And sure, I'll buy better quality stuff when I can but, hey, this is just modern manufacture. How would we survive without it?" But, yeah... we could achieve the same results. It would just mean more labour. And also not undercutting American labour with cheap, imported Mexicans. It's funny, stuff like that actually gives me a lot of heart. I see it more from a personal view - "I'd love to have higher quality, non-drugged meat, from free range animals" - but it's heartening to think that such a switch in industry would actually have a bunch of other positive knock-on effects to a wide swathe of people. so, half as much as 21st century levels, but this was when the US population was 1/3 of what it is today. So on a per-capita basis... that's pretty damn good. Even allowing for that being an exceptional year, yeah, it gives me a lot of confidence. Is it a Christian virtue to feed the starving in the 3rd world? If one only thinks short term, sure. Long term, absolutely not. But what then? They breed, then you have an ever increasing number of "starving" because they are too dumb or lazy to feed themselves. At some point you simply cannot feed them any longer, even if they stay put and don't try to invade our homelands. So instead of the starving thousands, you have the starving billions. So long term, do gooders feeding the starving are directly responsible for the starving billions. Thinking long term, therefore, one should not interfere with nature killing off the incompetent, or those overburdening those whom they can feed by their own efforts. Perhaps Bob Geldof, the musician behind the mostly failed Live Aid concerts should also be included on this list of so-called men who destroyed the world. They destroyed the world because they saved African lives? Granted, I wouldn't want to live in a screwed up place like Africa, but still, that's pretty anti-Christian to think these men destroyed the world, isn't it? Didn't Christ love all people regardless of their ethnicity? And if God and Heaven exist, what happens if it turns out Jesus Christ himself was black or very dark skinned like a person born in the Middle East would be as some historians have said? And that's not even going into the obesity/diabetes problem with a heavily grain-based diet. well, south africa is killing off it's farmers. So I think there's a famine just waiting to happen. The news in the 1930s presented unemployed men as a problem in all the countries that went to bloody war. The USA's media presented unemployed men as an untapped resource. We conserved our men's lives, as best as we were able. The Africans are being presented as a problem, not a resource. So my guess is uncontrolled war, uncontrolled disease, uncontrolled famine, until order is restored by, most likely, the Chinese. It's possible to have a famine and not get it reported in the news. That kid who built a windmill, and went to a TedTalk? His country had a famine and nobody seems to have noticed. Maps, maps of resources, maps of population, maps of population density, have been eliminated from most schools as too patriarchal- only boys are good at spatial relationships and math. There's a generation that's very vague about the material shape of the world- what capital in each state, names of states, even. Nations, sources of supply. The basic Napoleonic era through World War 2 era understanding of a British country schoolboy isn't even replicated at the PhD in International Relations level, anywhere. With that blindness, anyone can steal the people blind, keep them immured in poverty in one place, and make the world's edges bound by fearful dragons. It's available. You just have to look. Darwinian evolution is great, until it comes for your pet. "Is it a Christian virtue to feed the starving in the 3rd world?" Not the church's purview, Biblically speaking. No authority to do so. So another of Man's Real Good Ideas bears bitter fruit. I am to help those I know, or are in my path, as are you. To go beyond that requires a Federal ChurchTM, or churches working hand-in-glove with Caesar. To borrow a phrase, "all churches are local"
@59. Alright, I'll bite. Mr. Snidely, could you clarify the "largest grain harvest" a bit? In sheer bushels, it doesn't pass the smell test. But interesting stats should not be thrown away without a deeper look. 1917/18. 160.95 million acres harvested. 4,532.9 million bushels. 2017/18 85.4 million acres harvested. 14,795.3 million bushels. Half the acres. Triple the harvest. @70. HoosierHillbilly - could you share your source for that please? Worth considering population size too. I mean, obviously exports are gonna screw the maths up a bit, but you had 1/3 the current population (I dunno if today's 325m figure includes illegals, although it won't make a huge difference for our purposes). So, as you say, they're more efficient with the land, producing more bushels, but the difference is 45 bushels per person in 1918 vs 50 - not a huge difference. So, as Snidley says, there were efficiencies, but it's not like Americans would starve, at all, if American agriculture were to shift from its giant corporate structure to smaller farms. Of course, it probably won't happen. It'd be nice if it did: it would make American communities more robust, with more distributed farming, when SHTF. But I don't imagine anything's gonna the pull the plug on it any time soon, unless Trump or some later President can do something about it (though I'm not sure what, except breaking up those industries, which doesn't in itself encourage a move back to smaller farms).